Over the past decade, some of television’s best science fiction and fantasy series have been animated on the Disney Channel and Disney XD. Sure, they do a lot of silly shows, but the mythology and tight continuity of Gravity Falls was a thing of beauty — and a series that I would pit up against any other beloved show from Syfy to HBO — partly because it also managed to throw in sly parodies of most of them. 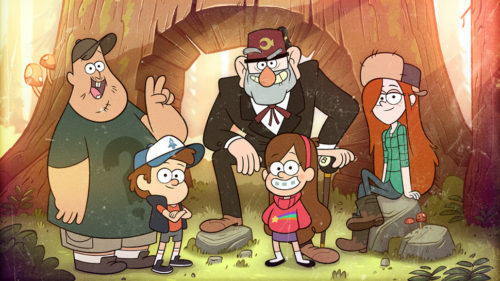 Covering one summer at a tourist trap in the woods of Oregon, Gravity Falls put siblings Dipper and Mabel Pines living and working with their “Grunkle” (Great Uncle) Stan. 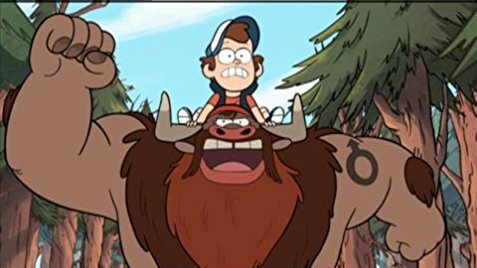 But as should be in all small towns, things are not what they appear to be, and their are mysterious doings, a secret history, and the possible end of the world all contained in Gravity Falls. And finally, it’s getting the box set treatment the show deserves! 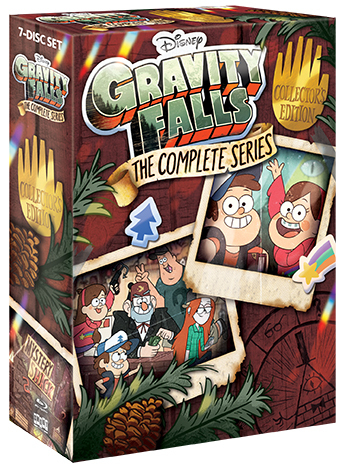 Coming out just in time for Comic-Con 2018, Gravity Falls means that I won’t be spending as much money in San Diego this year.